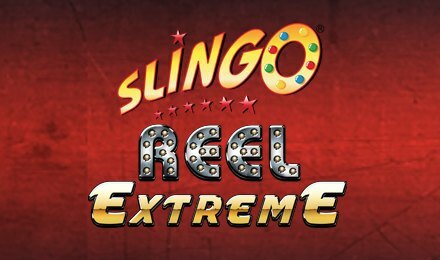 Slingo Reel Extreme Slot by Gaming Realms combines the exhilaration of Slingo Reel Riches along with the powerful heat from Slingo Extreme. An impressive blend of exclusive and stimulating features await you in this red-hot slot. Thanks to the fast-paced action and heated theme, you are bound to experience an engaging spinning adventure where you can score some potential extreme wins. Be entertained by the panoply of fun that is in store for you on Moon Games! There are no complicated rules in this 5 reels and 20 paylines game. Indulge in the sensational gameplay of Slingo Reel Extreme Slot by accessing your Moon Games account. As soon as you are in, you can choose any preferred stake amount. The objective is to whirl the reels and land identical symbols across the paylines to be rewarded extraordinary prizes. Packed with some tasty graphics, you will come across symbols such as angels, jokers and devils. The background is rather simple but promises a great spinning session! Bet Levels: There are no Bet Levels on Slingo Reel Extreme Slot. Amount of Paylines Selection: The 20 paylines available remain enabled throughout the entire gambling event. Coin Values: Set going by picking the favourite stake amount in the Stake field! It is located at the left-hand side of the screen, where you can choose from a minimum of 1.00 up to a maximum of 100.00 per spin. The Wild Logo with golden coins is undoubtedly the Wild Symbol of Slingo Reel Extreme Slot. It doubles any line win and takes the place of all symbols to form winning combos. However, it will not chip in the Bonus Symbol available. 5 Bonuses: 16 spins + Multiplier 20x or 8 spins + Multiplier 40x or 4 spins + Multiplier 80x. 5 linked spins of the reels mean that any bonus symbols you gather during your gameplay will carry over until your 5 spins come to an end. Have a whale of a time on Slingo Reel Extreme Slot!